As a first part of the recruitment process, every MNC company would like to conduct the Written test in order to know the knowledge the of the student in different areas like Aptitude, reasoning, programming. Each and every company has their own test pattern.This is the main step for the companies to eliminate the students from the recruitment process.Candidates who go through these test patterns can get some idea about the exam conducted by the MNC companies. Dear Friends, Here we are providing Multi National Companies Test Patterns. 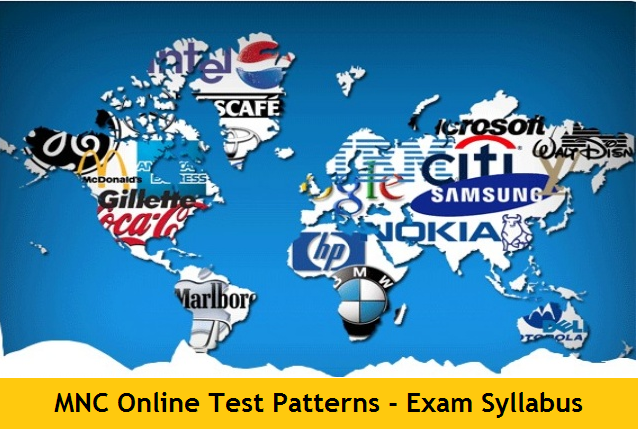 We have covered most of the MNC written exam patterns in this section. 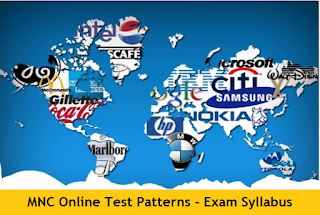 Please note that companies has the right to change their exam pattern at any time. We have provided this list based on previous written test patterns. Here we provided the latest test patterns of the MCN companies which are useful for the candidates who are preparing to secure a job in MNC company. Here in this website All India Jobs you can find latest updated test patterns of all MNC companies. sir jssc special branch constable main hindi k liye kon si book poru..? ?